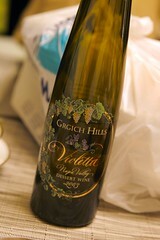 We were blessed with another botrytisaffected vintage in 2003, enabling us to　produce our fifth vintage of Violetta. This year's blend is a repeat of our 2002, composed of 60% Chardonnay and 40% Riesling. In the mouth, this wine is extremely rich and concentrated, exploding with honey, roasted apricots, almonds, and creme brulee. The Chardonnay component of the blend contributes flavors of ripe pear and baked apple, while the Riesling adds rich, concentrated apricot flavors and floral notes to the bouquet. Hints of clove and cinnamon from French oak aging and a slight truffle undertone from the botrytis add depth and complexity. The finish is long, persistent, and smooth. Crisp acidity balances the intense richness and concentration of the fruit, enabling Violetta to be simultaneously sweet yet clean and refreshing. The wine is a perfect complement to most stone-fruit, vanilla, and cream-based desserts; it also pairs well with milder cheeses. After tasting a variety of red wines, we selected this French Merlot as one of the best values we could find. Our National Wine Buyer, Marc Jonna, worked with the 365 team to find a great wine at a hot price. 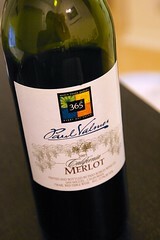 Our 365 Merlot has berry aromas and hints of smoke and plum. It's well balanced, round and supple with smooth tannins. Perfect with grilled meats, pasta dishes, and poultry. Enjoy as an aperitif with Parmigiano Reggiano, Cheddar and other savory, firm cheeses. 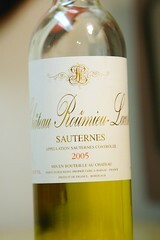 2005 was a great vintage for the sweet wines of sauternes. Herve Dubourdieu, the owner of Château Roûmieu-Lacoste, feels this year's conditions produced a wine of great purity and freshness. Made solely of hate-harvest semillon, the wine shows a honeyed, smoky, richness balanced by pleasant acidity. Ideal with holiday desserts or roquefort blue cheese. The 2001 Joseph Swan "Mancini Ranch" Russian River Valley Zinfandel is a knockout. 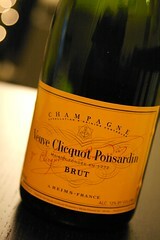 It wows not with its alcohol, extraction or residual sugar, but with its sheer balance. With persistent earthiness this wine's nose is cemented with red plum, pomegranate and charred pork-rib aromas. If that isn’t enough, the fleshy, plump mouthfeel, cracked black pepper and tobacco spice and layered blueberry fruit should impress. The famous yellow label. At once delicate and powerful, the classic Yellow Label Veuve is dominated by pinot noir's firm structure, but is rounded out by a touch pinot meunier. The nearly one-third chardonnay provides the elegance that this cuve'e is famous for. Intense and rich, this wine announces its arrival with a perfume of summer berries and black licorice. The palate is full and lushly fruited with red cherries and blackberries alongside notes of white sage and oak that carry through a long, persistent finish. This Cabernet Sauvignon will pair beautifully with a rich beef and barley stew, or grilled marinated skirt steak with Portobello mushrooms. The undisputed king of red wines, Cabernet is a remarkably steady and consistent performer throughout much of the state. While it grows well in many appellations, in specific appellations it is capable of rendering wines of uncommon depth, richness, concentration and longevity. 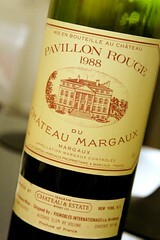 It is mainly used for the Bordeaux blend, it can stand alone. Several styles have emerged. One is a Cabernet-style Merlot, which includes a high percentage (up to 25 percent) of Cabernet, similar currant and cherry flavors and firm tannins. A second style is less reliant on Cabernet, softer, more supple, medium-weight, less tannic and features more herb, cherry and chocolate flavors. A third style is a very light and simple wine; this type's sales are fueling Merlot's overall growth. 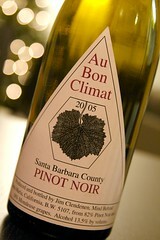 Pinot Noir, the great grape of Burgundy, is a touchy variety. The best examples offer the classic black cherry, spice, raspberry and currant flavors, and an aroma that can resemble wilted roses, along with earth, tar, herb and cola notes. It can also be rather ordinary, light, simple, herbal, vegetal and occasionally weedy. It can even be downright funky, with pungent barnyard aromas. In fact, Pinot Noir is the most fickle of all grapes to grow: It reacts strongly to environmental changes such as heat and cold spells, and is notoriously fussy to work with once picked, since its thin skins are easily bruised and broken, setting the juice free. Even after fermentation, Pinot Noir can hide its weaknesses and strengths, making it a most difficult wine to evaluate out of barrel. In the bottle, too, it is often a chameleon, showing poorly one day, brilliantly the next. Zinfandel is the quintessential California wine. 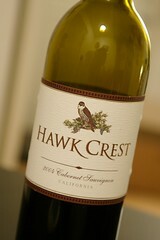 It has been used for blending with other grapes, including Cabernet Sauvignon and Petite Sirah. It has been made into a full-bodied, ultraripe, intensely flavored and firmly tannic wine designed to age. And it has been made into late-harvest and Port-style wines that feature very ripe, raisiny flavors, alcohol above 15 percent and chewy tannins. Styles aimed more for the mainstream and less for extremes, emphasizing the grape's zesty, spicy pepper, raspberry, cherry, wild berry and plum flavors, and its complex range of tar, earth and leather notes. The grape seems to grow well in a number of areas and is capable of rendering rich, complex and distinctive wines, with pronounced pepper, spice, black cherry, tar, leather and roasted nut flavors, a smooth, supple texture and smooth tannins. Known as Shiraz in Australia, it was long used for bread-and-butter blends, but an increasing number of high-quality bottlings are being made. In the United States., Syrah's rise in quality is most impressive. It appears to have the early-drinking appeal of Pinot Noir and Zinfandel and few of the eccentricities of Merlot, and may well prove far easier to grow and vinify than any other red wines aside from Cabernet. Petite Sirah is sometimes mistakenly spelled "Petite Syrah" which has historically referred to the small berries of the Syrah grape by Rhone growers. In California, immigrant vine growers introduced Syrah 1878 and used the phrase "Petite Syrah" to refer to the lower yields that the vines then were producing in Califonia. Actual Petite Sirah (Durif) was then introduced in 1884. Beaujolais makes its famous, fruity reds exclusively from one of the many Gamays available, the Gamay Noir a Jus Blanc. Low in alcohol and relatively high in acidity, the wines are meant to be drunk soon after bottling; the ultimate example of this is Beaujolais Nouveau, whipped onto shelves everywhere almost overnight. It is also grown in the Loire, but makes no remarkable wines. The Swiss grow it widely, for blending with Pinot Noir; they often chaptalize the wines. Montepulciano d'Abruzzo is a type of wine grape as well as a type of red wine made from these same grapes in the Abruzzo region of east-central Italy. Up to 10% Sangiovese is permitted to be added to the blend. It is typically a fruity, dry wine with soft tannins, and as such is often consumed young. If aged by the winery for more than two years, the wine may be labelled "Riserva." This wine should not be confused with Vino Nobile di Montepulciano, a Tuscan wine made from Sangiovese and other grapes, but not the Montepulciano variety. Tempranillo is a variety of black grape widely grown to make full-bodied red wines in its native Spain. It is the main grape used in Rioja, and is often referred to as Spain's "noble grape". Its name is the diminutive of the Spanish temprano ("early"), a reference to the fact that it ripens several weeks earlier than most Spanish red grapes. Drought- and heat-resistant, it yields a fruity, spicy, medium-bodied wine with supple tannins. The second most widely planted grape in the world, Grenache is widespread in the southern Rhone. It is blended to produce Chateauneuf-du-Pape (although there are some pure varietals) and used on its own for the roses of Tavel and Lirac; it is also used in France's sweet Banyuls wine. Important in Spain, where it's known as Garnacha Tinta, it is especially noteworthy in Rioja and Priorato. Grenache used to be popular in Australia, but has now been surpassed by Syrah; a few Barossa Valley producers are making wines similar to Chateauneuf-du-Pape. In California it's a workhorse blending grape, though occasionally an old vineyard is found and its grapes made into a varietal wine, which at its best can be good. It may make a comeback as enthusiasts of Rhone style seek cooler areas and an appropriate blending grape. Tannat is a red wine grape, predominantly grown in southern France. It is predominantly used to make Madiran AOC wines, giving them high levels of tannin and a high alcohol level, and the ability to age very well. It is also used to make Armagnac. Rose wines are also made from it; these are usually very full bodied. It is also grown in Argentina, Australia, Italy and Uruguay (Where it is one of the principle grapes used for red wine production). Tannat wines produced in Uruguay are usually quite different in character from Madiran wines, being lighter in body and lower in tannins. It is also produced in small quantities in the state of Virginia in the United States of America.